The Synpack Mini is controlled from a main computer included operator’s friendly interface and electronic axis position control with PLC based on computer all-in-one. Is an inexpensive solution where the production speed is not very high. 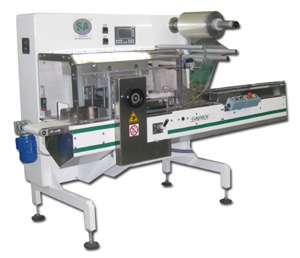 Wrapping Speed: Up to 25 meters per minute of sealed film. Digital control machine phases with possibility to memorize up to 10 products.